TRIPLE ACTION CONDITIONER with ALOE VERA brings back brightness and silkiness to hair, repairs the hair cuticle and vitalises the hair´s root. 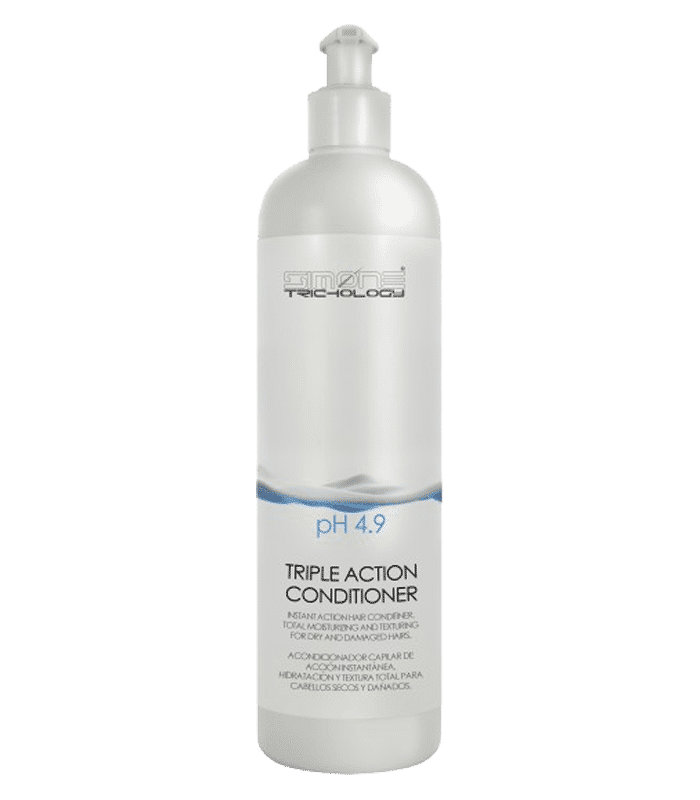 TRIPLE ACTION CONDITIONER with ALOE VERA is a specific preparation to conditioning the hair after wash.Extra concentrated conditioner cream with relaxing action. Brings back brightness and silkiness, due its impressive proportion of cationic composites (5%), which attach themselves to the capillary surface. Repairs the hair cuticle, which is the most damaged part of hair, by the addition of tricopeptides (1%) of easy penetration and very similar to keratin. Vitalises the hair´s root by its high content in brewer’s yeast (2%), and a high content in vitamin b complex, trichogens, enzymes and other important trichological composites. Can be applied on all types of hair but specially to dry, damaged hair or, in hairs which lacks of normal vitality. Apply over the hair after washing. leave for five minutes and rinse thoroughly with lukewarm water. If it is a very damaged hair, put a plastic cap, leave on hair for five minutes, applying heat with a dryer.